WEST LAFAYETTE, Ind. 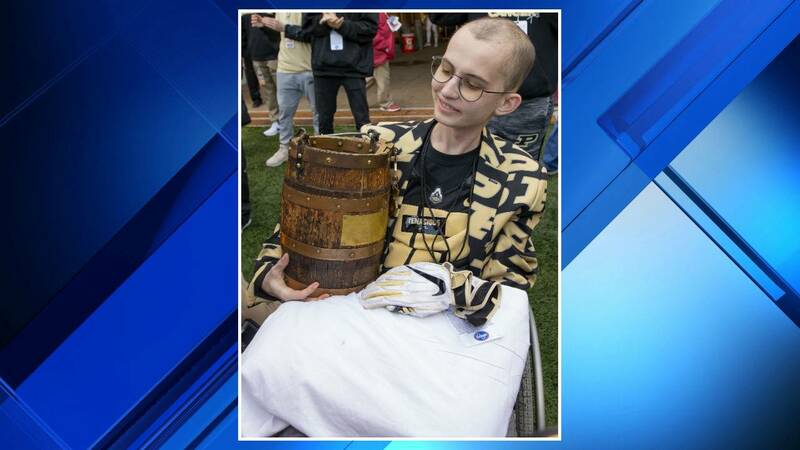 - Purdue University will announce this week the creation of an on-campus memorial to superfan Tyler Trent, who died after a battle with cancer. School President Mitch Daniels will announce the permanent memorial at 11 a.m. Wednesday at Gate E of Ross-Ade Stadium. Trent died Jan. 1 after a long battle with cancer. He became a national celebrity last football season for his unwavering support of Purdue and his courage during a battle with terminal cancer. Daniels will also announce the first recipient of the Tyler Trent Courage and Resilience Award, which is a new scholarship in Trent's honor.